Yes, you read that title right, the Phillips Family is on the move. Because we thought having a baby wasn’t a big enough life change in and of itself :), so we’ll be packing our bags and moving farther north from Richmond to DC in July. I’ve honestly been dreading writing this post because it makes it real. I love Richmond, I love our amazing support network of friends, I love our home and I love the life we’ve created for ourselves here. I know that in the end it will all work out, everything happens for a reason, and so on and so forth, but right this second the idea of living in DC is not appealing. Not to mention, I want to be focusing solely on baby girl, but instead our days are filled with rental searches, nanny/daycare searches, selling the house and getting all the other affairs in order that you have to do to move. So if that’s how I feel, why the move? Well, long story short, my hubby is a little too awesome and managed to land is dream job. The job is even still with our current company, just at the McLean headquarters. This is a job that should have taken him a lot more time/experience to get, so we decided to make sacrifices so he could put his career into hyperdrive. Now, this is where I would love your help and comments. 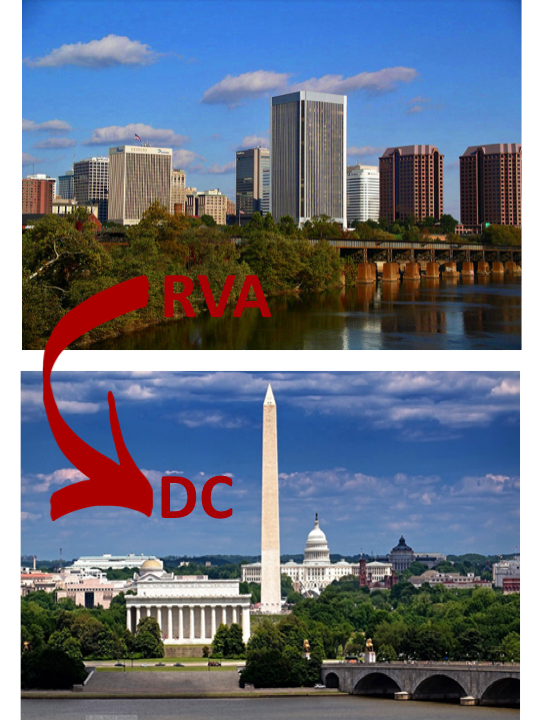 Where should we live in NOVA? Do you or someone you know live in DC – we’re on the hunt for friends?! What are some things to get us excited about living in DC? Know anyone in Richmond looking to buy the most perfect home ever ;)? If you know anyone interested, click here to see the link to our house for sale in Richmond. It also gives you a little tour and you’ll see why I’m so obsessed with this home.